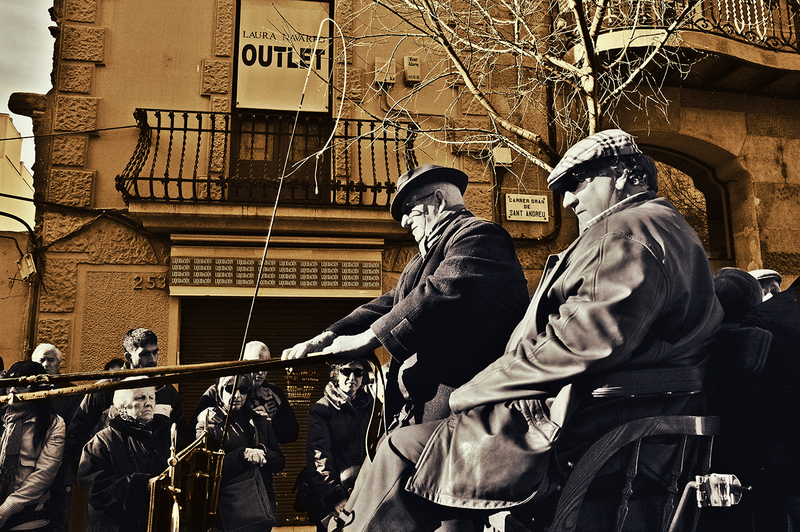 These two coach drivers were taking part of Tres Tombs parade in Sant Andreu quarter recently. Although I decided to add some effects to the picture, both the drivers and the people in the background were really there, I mean there are no tricks as to the scene. I have only played with photo filters over the image in black and white to visually detach both the coach and the onlookers from the background. You did a great job too! I like this effect! Pardon me, only been to Barcelona once. Amazing. Wish I cud learn to do that. Very nice blog u got in here. Ola. Muito bela. Você fez isso com o Adobe Photoshop? Spoooky and way khool! BTW, I've given you a Mentor Award on my blog, Blog-Blond, if you wish to pick it up and read about it.